We compared two premium water bottled brands to find out which one is the best bottled water. FIJI Natural Artesian Water outmatched Evian and has claimed the title as the top water bottle brand. Water is one of our most basic of biological needs as humans. In fact, our bodies can only go for about three days without water before they begin to shut down. Throughout history, civilizations have been built around water and wars have been fought over access to water. Do you know what’s in your water? With concerns over tap water quality becoming more prevalent, the bottled water industry boom which started in the late 1990’s has morphed into a multi-billion dollar market. A market filled with a dizzying number of companies each claiming that their brand is the best bottled water. Two of the most well-known brands of bottled water are Evian and FIJI. Both benefit from quality marketing campaigns and, as premium brands, are offered in luxury hotels and 5-star restaurants. This makes them prime potential candidates for the title of best bottled water. Delicately crafted by nature with a unique journey through the heart of the French alps, emerging at the source naturally pure and ready to drink. Direct from snowflake to you. Far from pollution. Far from acid rain. Far from industrial waste. There's no question about it: Fiji is far away. 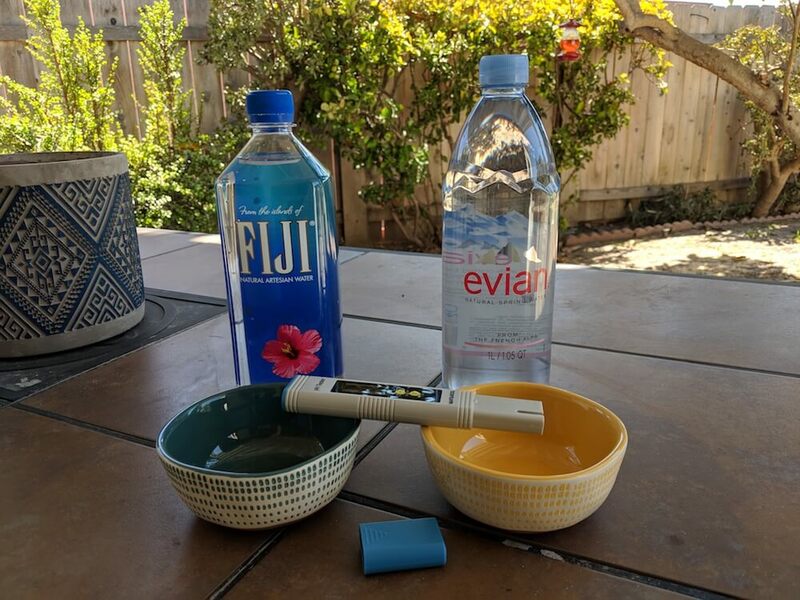 But when it comes to drinking water, remote happens to be very, very good. 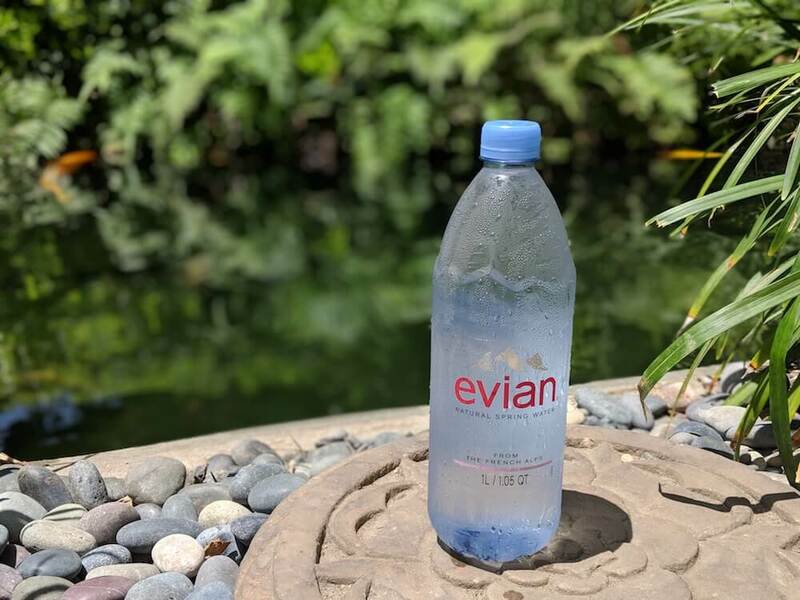 Before we start comparing Evian and FIJI, let’s delve into some of the confusing terms which you are likely to encounter as you shop for bottled water. “Artesian water,” “spring water,” “mineral water” – what is the difference and does it really matter to you? Simply put, “artesian” and “spring” are terms which may be used to designate the source of the water, while “mineral” is a descriptor of certain types of water composition. Depending on the brand, bottled water may be labeled with one or more of these descriptive terms. Knowing what these terms mean allows you to understand more about the water you are purchasing. For a water source to be described as “artesian,” pressure within the water aquifer must force the water up to a level which is higher than that of the water table. Artesian water may also be referred to as “spring” water if the water makes its way all the way to the surface. In the United States, water may be classified as “mineral water” if it contains at least 250 parts per million (ppm) total dissolved solids originating from a geologically and physically protected underground water source. Bottled water companies are barred from adding minerals to their water, so all minerals in mineral water must be naturally occurring. Evian and FIJI are two of the biggest brands in bottled water and both are well-known for being premium products. We consulted other bottled water reviews and weighed online and public opinions prior to making our selections. Evian and FIJI continually topped the lists of the best bottled water choices, so we chose them as our top two contenders. 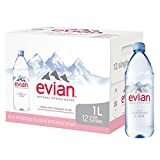 Evian water is spring water which has been sourced from Evian-les-Bains in the Haute Savoie region of France since 1826. This water is known for the distinctive mineral taste which it acquires as it travels from its origin in the French Alps down to the shores of Lake Geneva. 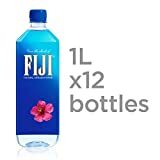 The FIJI Water company was established in 1996 to bottle and distribute artesian water from the Yaqara Valley of the Viti Levu island of Fiji. The water encapsulated in a FIJI water bottle has fallen as tropical rain in the rainforest. It has then been filtered through layers of volcanic rock which imbued it with the minerals and electrolytes that give FIJI a uniquely soft, smooth taste. 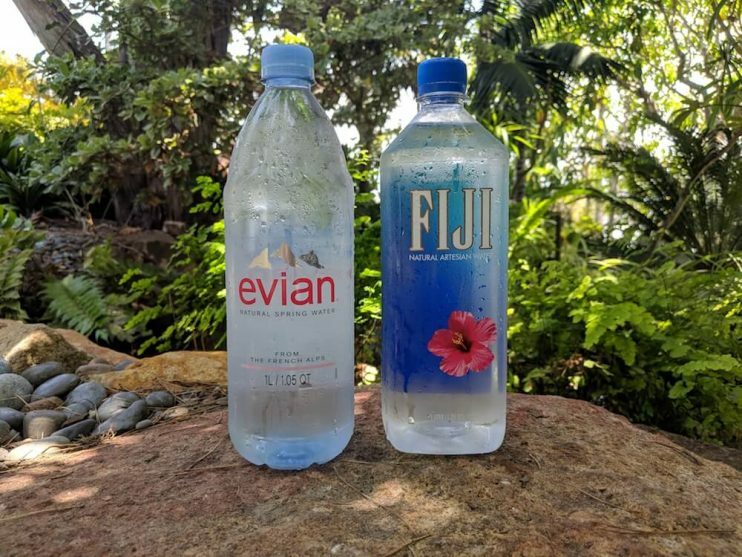 To definitively determine which contender deserved the title of the best bottled water, we put both Evian and Fiji through two tests: pH and taste. pH is a measure of the level of activity of the hydrogen ions within a substance and is expressed using a pH scale with values ranging from 0 to 14. pH extremes are known to have a negative impact on the human body, and since our bodies are primarily comprised of water, the pH of the water we ingest is particularly important. Water should ideally have a neutral pH of 7.0. A pH of lower than 7.0 indicates that the water is more acidic and therefore has higher concentrations of hydrogen ions. A pH reading higher than 7.0 occurs in water which is more alkali and contains fewer hydrogen ions. We conducted our pH test utilizing a digital pH meter which was placed in the bottled water sample for 45 seconds until the indicated pH level settled on a final readout. For the sake of accuracy, we tested the pH of each sample three separate times then obtained an average pH for each bottled water brand. The meter was placed in a control container of distilled water between tests in order to ensure a proper test. In our tests, neither Evian nor FIJI bottled water achieved a perfect 7.0 neutral pH average. FIJI’s average at 6.96 was within 0.04 while Evian trailed at 0.07 off the mark, coming in at a 7.07. Statistically speaking, these differences were not overly significant, however the slight edge went to FIJI. No matter where your bottled water is sourced from or what its pH is, one of first and most important things you notice is its taste. To compare the taste of Evian vs FIJI, we conducted a blind taste test with 18 participants. Of the 18 participants, 14 said that FIJI tasted better as opposed to 4 who selected Evian as the best tasting bottled water. When tasters were asked to provide feedback on the products, they said that the FIJI water tasted “smoother,” while the Evian was described as tasting more like one of the basic bottled water brands than a premium brand. Collecting over 77% of the taste test vote, FIJI won this round as well. The quality of the bottled water in our comparison was judged objectively by how neutral a pH value it had and subjectively by its taste. When we ran two of the top bottled water brands through these two tests, FIJI was the decisive winner on both fronts. FIJI water was pH balanced with our tests showing an average pH of only 0.04 off from a perfectly neutral 7.0. We also found that the flavor of FIJI water far surpassed that of Evian with FIJI being preferred by more than 77% of our taste testers. Want even more reasons to choose FIJI as the best bottled water brand? In 2007, FIJI launched the FIJI Water Foundation – a charitable trust funded and supported by the owners, employees and corporate affiliates of FIJI Water. The Foundation is one of the largest philanthropic organizations in Fiji and is committed to (1) providing clean water access to rural communities; (2) building educational facilities and infrastructure that benefit children, teenagers and adults; and (3) providing access to healthcare services to underprivileged communities. In instances of flooding and severe weather events, the FIJI Foundation provides disaster relief to impact Fijian communities. FIJI Water Company respects the delicate rainforest ecosystem which its water comes from. To that end, FIJI has teamed up with Conservation International in an effort to preserve Fiji’s largest unprotected rainforest, the Sovi Basin. Thus far they have established a long-term conservation lease for approximately 40,000 acres of rainforest land. This land is now protected from logging and other potentially degrading activities. FIJI Water and Conservation International have also worked together on a large-scale reforestation project to restore a total of 2,800 acres of degraded grasslands on the Fijian island of Viti Levu. Not only does this project offer long-term environmental benefits, but it also has facilitated the creation of local jobs. The FIJI Foundation’s dedication to education is evidenced by its yearly school grant awards. Teachers across the Fijian Islands are encouraged to compete for award funds by submitting creative ideas that will have “a direct and tangible impact on students’ learning.” Each winning teacher is eligible to receive up to FJ$5,000 for their projects and in 2018, FIJI awarded grants to 83 teachers for activities ranging from career exploration field trips for high schoolers to supplies for elementary school children to learn how to build greenhouses and raise chickens. After completing our tests and learning more about the philanthropic programs FIJI is a part of, it is clear that FIJI is the best bottled water brand. FIJI wins not only for the neutral pH and quality taste of its water, but also for the company’s commitment to the preservation of the local environment and betterment of its people’s quality of life. In the United States, where the quality of tap water is regulated, why choose bottled water at all? There are several reasons why you may decide that bottled water is the right choice for you. You may enjoy the different tastes exhibited by particular brands of bottled water. Perhaps having a supply of quality water is particularly important for you or you have discovered that bottled water is simply a convenient option that fits your lifestyle. Connoisseurs of premium bottled waters liken them to fine wines in that there are subtle and distinctive flavor differences exhibited across each brand. In fact, one may even take courses to obtain a certification as a Mineral Water Sommelier. What exactly creates the subtle nuances of flavor that water sommeliers are trained to detect? The flavor profile of a particular brand of water is influenced and shaped by the source of the water, the route which it took to reach the earth’s surface, and the unique combination of minerals and other compounds which it acquired along the journey. There are only so many different minerals which may be found in bottled water, however the varying concentrations they occur in allows for a nearly limitless number of unique, nuanced tastes. In the face of floods or other natural disasters which have the potential to impact the quality of municipal drinking water, bottled water is an important component of an emergency preparedness kit. It is often one of the first items stores sell out of in areas where a hurricane or tsunami is predicted to make landfall. When traveling to a foreign country where you are unsure of the quality standards of the local water, a familiar brand of bottled water gives you peace of mind. Whether you drink bottled water daily or you simply wish to know which brand of bottled water is the best, we have done the research and have the answer for you. Fiji water is a pure, artesian water with a nearly perfectly neutral pH. Its taste is silky smooth and delicious. 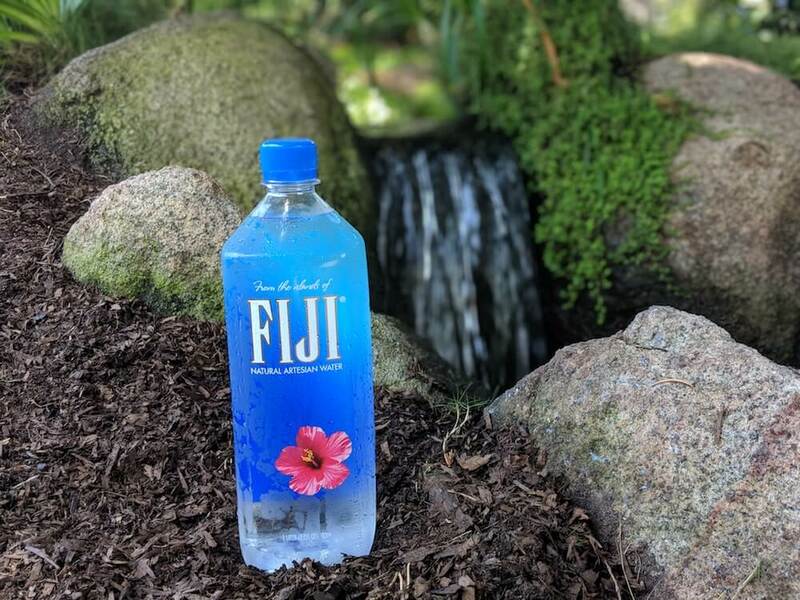 When you crave the best bottled water, you crave Fiji.